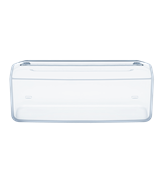 690L White Side by Side is rated 4.4 out of 5 by 42. 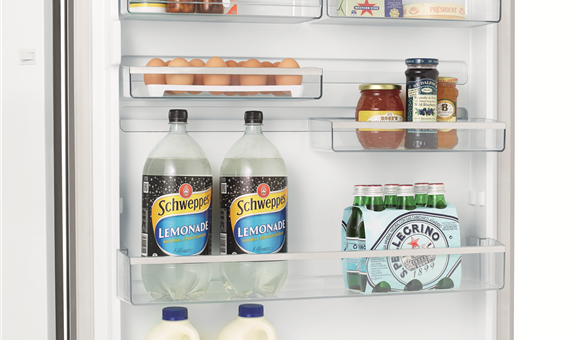 A 690L frost free side by side refrigerator with classic white finish, FlexSpace™ interiors & SpillSafe™ glass shelving. Rated 5 out of 5 by Kitchen Reno from Fantastic Refrigerator Bought this in SS just after Christmas and I'm extremely happy with my purchase. Plenty of room, keeps everything at the temperature you would expect and looks great too. One thing stands out for me ... the ice trays which twist to release into the tray underneath. Pretty nifty! One thing to be aware of though ... it's big and you need to make sure you can actually get it into your kitchen. I had a couple of tricky moments but the delivery man managed to squeeze it down and around my stairs. Overall very good value. Rated 5 out of 5 by patchym from overall great shopping experience shopping online can be a bit daunting for the uninitiated but this purchase was very satisfying and now that I've done my first purchase I wouldn't hesitate to do another. 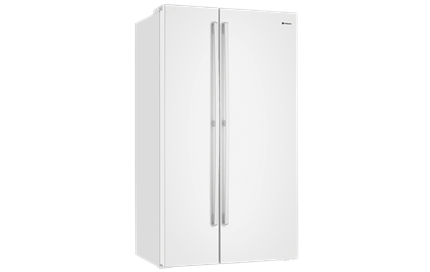 The westinghouse WSE6900WA 690L fridge is working beautifully, the the only not to do with the freezer is put items in front of the thermostat in the top of the freezer. 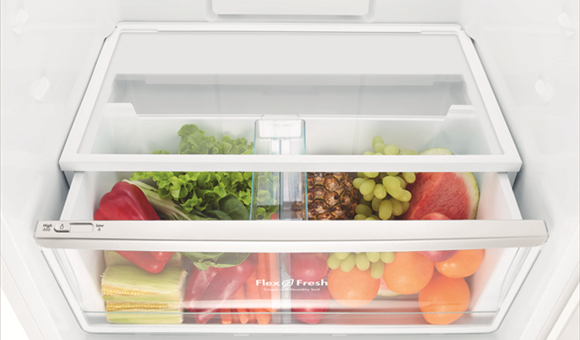 The freezer thinks thinks its too cold if you cover it up, so pack your freezer with this in mind. Actually the manual mentions this specifically so be warned. That was my bad not the the freezer and the fridge works perfectly. 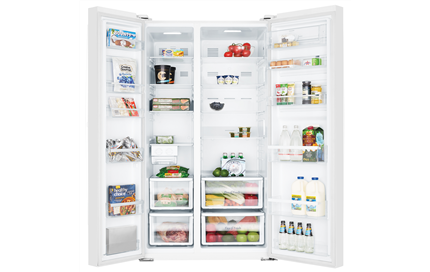 Rated 5 out of 5 by Kin C from Large fridge with adjustable safety glass shelves I bought this Westinghouse 690L side by side fridge 7 weeks ago to replace our 14 years old Westinghouse 610L SBS fridge and we are very happy with it. There are 3 LED lights in the fridge section and 1 at the top of freezer. After 20 hours we first switched on the new fridge, it is very quiet and cold.. It is very wide with internal 53cm width and we can put a bunch of celery horizontally. The freezer has 204 litres capacity which is smaller than 249L capacity for our old 610L SBS fridge which the fridge section was warm but freezer was still cold. We now use it as a storage cupboard for cookwares and utensils etc. It is also better than a French door fridge which you have to close the left fridge door first and then the right door. Rated 3 out of 5 by Corby from over all ok We Purchased This Fridge on the 18/5/17 it was Delivered on 20/5/17 un packed plugged in was all good Sunday 21/5/17 it was Driving us mad. We rung Westinghouse to complain. Soothes arranged for a service man to come on 29/5/17. By this time we had to KEEP turning TV up so we could hear it the noise was that BAD. The service man FOUND THE FAN THAT COOLS THE MOTOR HAD SHIFTED ON SHAFT AND HE SAID MANUFACTURING FAULT PUT NEW FAN IN. Not very impressed for a new fridge. There has been no noise since so we hope all is well NO MORE PROBLEMS. Rated 1 out of 5 by Lindy from Poor quality Worst fridge I have ever bought. Several cracked shelves, crack in back of internal fridge lining. And only a couple of years old. Considering light use with only 2 in the home, not merchantable quality at all. Rated 4 out of 5 by Babs from Great Refrigerator WSE6900WA We bought a Westinghouse WSE6900WA refrigerator a month ago through Appliances Online (can't speak highly enough about this company), and are very happy with it. It's the first side-by-side I have owned and it is great for us, an older couple. 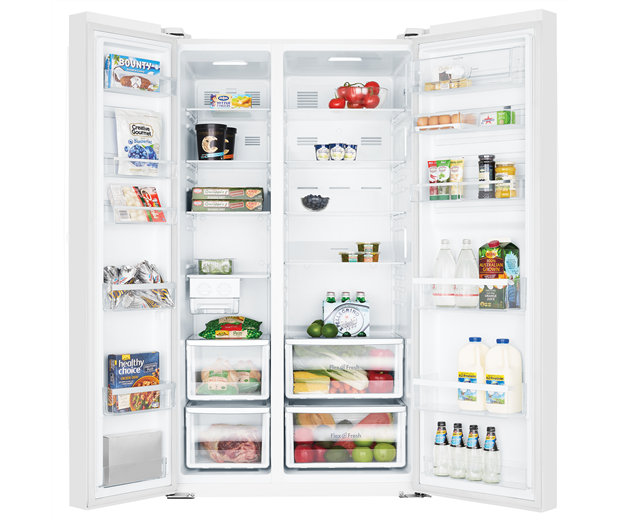 This particular model has a larger refrigerator section than all the others I researched, whereas the freezer size is standard in most brands. The fridge is 22 inches (sorry) wide, others are 17 inches. The crisper bins are both full width, better than the half width in my previous fridge. The only reason I gave four stars not five is that I would have loved non- plumbed chilled water and ice maker which is available only in one brand, but size outweighed cold water for me. Hope all brands provide this soon as plumbed-in is not always an option in an existing home. Rated 4 out of 5 by Big Mal from Mostly happy with our purchase This is a really good sized fridge with a reasonable sized freezer compartment. 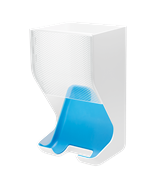 It was good value for money and is working well. Only minus is that you need a lot of clearance either side to be able to open the doors and slide out the shelves and trays. 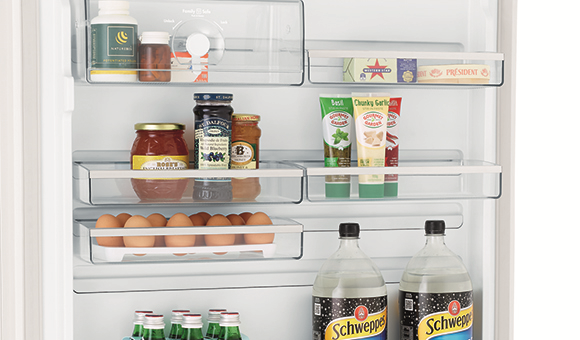 This make the total width required a lot more than the fridge width and is a problem if you haven't allowed for it. 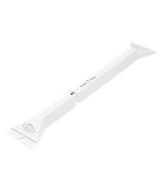 We also had to fix the ice cube tray because one of the slides had been installed back the front. 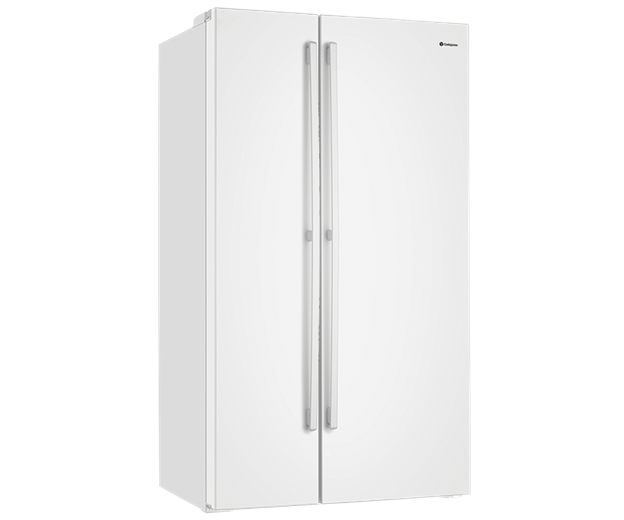 Rated 5 out of 5 by Maximillian from 690lt Side by side fridge/freezer Very happy with this purchase! Plenty of room, double vegie crispers, glass shelves that are easy to clean and you can see through, plenty of shelving in the door space with lower two shelves really wide to fit big items, exact temp control, two drawers in the freezer. Only negative is the egg storage only hold 8 eggs, and the ice cube drawer takes up too much space in the freezer so I don't use that. Otherwise am really happy with this product.